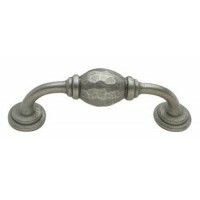 Drawer Pull - Authentique Finish - Large A lovely iron drawer pull with a rustic feel with a subt.. 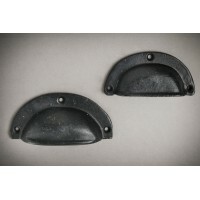 Very useful card frame holder with pull - perfect for organising drawers. 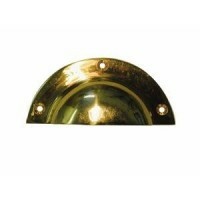 Measures; Externa.. 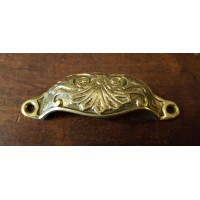 Plain and simple brass drawer pull which is hand cast for us in Shropshire, weighty and solid. 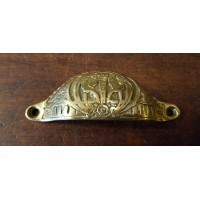 ..
Drawer Pull - Cast Brass - Arts and Crafts A beautiful Arts and Crafts design on a cast brass dra..
Drawer Pull - Cast Brass - Square Backplate - 100mm A simple and sophisticated drawer pull in pol..
Drawer Pull - Cast Brass -Victorian This decorative drawer pull measures 110mm wide, 35mm h..
Drawer Pull - Cast Iron - 3 Hole with Nibs Lovely, simple iron drawer pull with 3 screw holes set..
Drawer Pull - Cast Iron - Decorative - Small Bureau A lovely delicate iron drawer pull, wit..
Drawer Pull - Chrome Plated - 90 mm A simple and sophisticated drawer pull in a polished chrome p..
Drawer Pull - Roman Finish - Large A lovely iron drawer pull with a rustic feel and antiqued copp..
Drawer Pull - Roman Finish - Medium A lovely iron drawer pull with a rustic feel and antiqued cop..
A range of decorative D Handles with a hand-crafted centre feature which shows every hammer blow fro..
Reclaimed Box/Chest Flush Handles - Large Brass - Set of 5 These would make the perfect addition .. 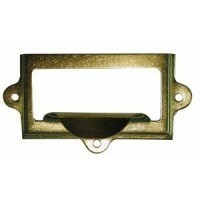 Plain and simple cast brass drawer pull. 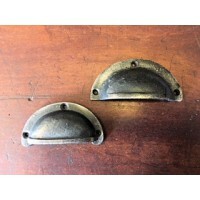 Measures 98mm wide, 40mm high and projects 20mm app..
Victorian Style drawer pull in cast iron, reproduced from an original. Creates a traditiona.. 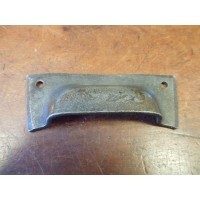 Ideal for rustic furniture. These have a protective coating of beeswax. Minimal maintenance is requi..
A simple utilitarian design. Measures 110mm x 40mm approx and finished with beeswax. Hand forg.. Very useful card frame holder with pull - perfect for organising drawers. 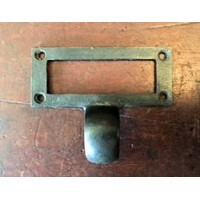 Measures 75mm x 4..
A range of Traditional Drawer Pulls in brass and hand forged iron. 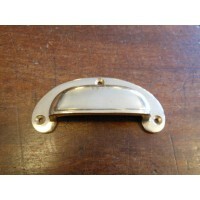 A selection of Brass Drawer Pulls are cast for us in a small foundry in Shropshire and have an unlaquered finish. 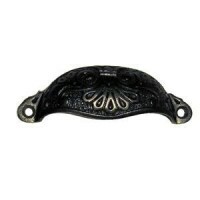 We guarantee that the Period Features selection of Drawer Pulls is the best you will find on the internet or anywhere else and are only made from high quality materials to exacting standards.